Dr. Amy L. Sherman is a Senior Fellow at the Sagamore Institute for Policy Research, where she directs the Center on Faith in Communities. She describes the work of the Center as a “minister to ministries” and is highly active in helping congregations and Christian nonprofits to serve their communities with “effective compassion.” Named by Christianity Today in 2012 as one of the 50 most influential Evangelical women in America, Sherman is the author of six books and nearly 100 articles in a variety of periodicals including First Things, The Public Interest, Policy Review, The Christian Century, Christianity Today, and Books & Culture, as well as various online platforms. Sherman is the founder and former executive director of Charlottesville Abundant Life Ministries, an urban ministry in Charlottesville, VA. Her books Sharing God’s Heart for the Poorand Restorers of Hopehave been used by hundreds of community ministries nationwide. Her most recent book, Kingdom Calling: Vocational Stewardship for the Common Good, was awarded “Book of the Year” status in the Christian living category by Christianity Today. 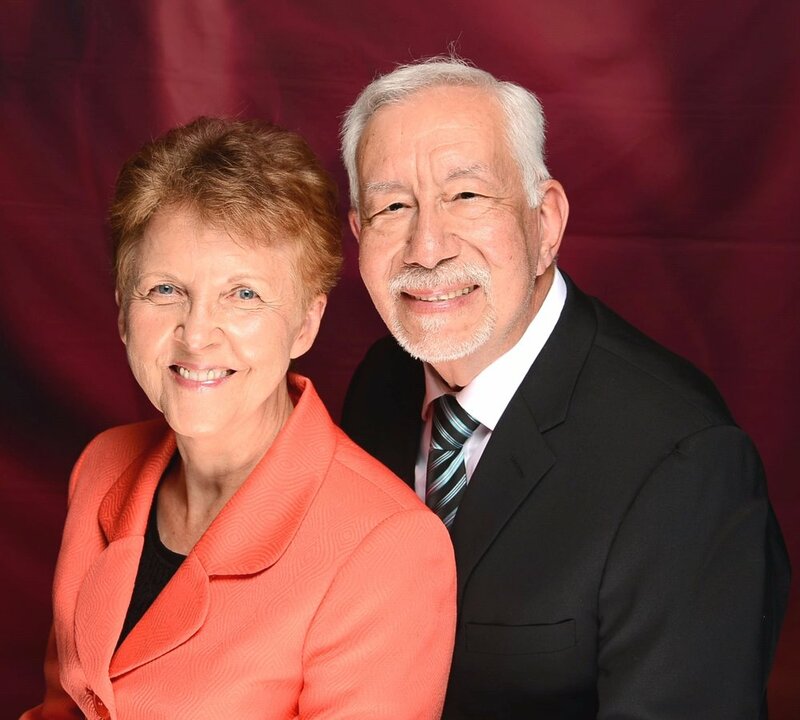 She served for several years as a volunteer Senior Fellow with the International Justice Missionand is a long-time member of Trinity Presbyterian Church in Charlottesville, VA.
Jose Cortes Jr. treasures and loves Joanne Cortes, his wife and companion in ministry. Together, they are blessed with two boys, Jose III and Joel Benjamin. Next to God and family, his greatest joy and passion come from ministry, and about 25 years of pastoring, youth and young adult ministries, soul winning, church planting, and leadership as a Conference and Union Departmental Director. He currently serves as Associate Director of the North American Division Ministerial Association and leads Evangelism, Church Planting, Global Mission, Church Growth, and Mission to the Cities for the Adventist Church in North America. Jose recognizes the importance of this task and continually asks the Holy Spirit for a double portion of love, vision, courage, grace, wisdom, power, and compassion to reach, retain, and reclaim others for Christ. Pastor Jose holds a Master of Divinity (M.Div) from the Seventh-day Adventist Theological Seminary in Andrews University, and a B.A. in Theology from Columbia Union College, now Washington Adventist University. Wynelle Stevens is the Assistant Director for Adventist Community Services at the North American Division in Silver Spring, MD. She is a certified Senior Advisor and is responsible for promoting and managing the Older Adult Ministry. She conducts workshops for the purpose of engaging congregations in ministering to their members and community and in developing an older adult program in their church. She has been with Adventist Community Services for eleven years. Wynelle grew up in Maryland. Her grandfather was Elder Willis J. Hackett who served as a Vice President at the General Conference during his career. She has been married for over 29 years to her husband, Gene. Together they have been blessed with three children; Andrew, Jeremy, and Erica and two Grand-dogs. Karnik Doukmetzian has been serving as the General Counsel for the General Conference of Seventh-day Adventists since 2009. He was born in Athens, Greece and raised in Toronto, Ontario. He graduated from York University in Toronto with an honors bachelor's degree in Strategic Studies in 1979; and earned his law degree from the University of Windsor in 1982. He is licensed to practice law in both the United States and Canada. He is a member of the Law Society of Upper Canada, the State Bars of the District of Columbia, the State Bar of Tennessee, the American Bar Association, and the Defense Research Institute. Before joining the Office of General Counsel, Mr. Doukmetzian worked for Adventist Risk Management for 12 years as Claims Counsel, and most recently as Vice President responsible for underwriting, risk placement claims, and legal services. Before joining ARM, he served as General Counsel, and Trust Services and Public Affairs and Religious Liberty director for the Seventh-day Adventist Church in Canada. Growing up with his grandparents in a low-income home, Tony Dahlberg learned first-hand the challenges of those in financial crisis and the value of hard work. 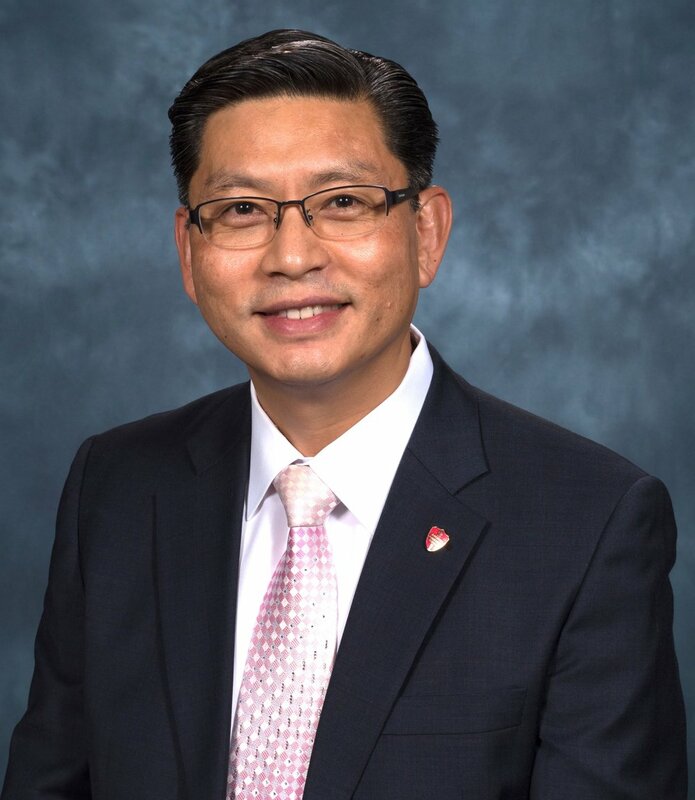 Sung K. Kwon has served as the executive director of the North American Division Adventist Community Services (ACS) since 2001 and is an ordained minister of the Seventh-day Adventist Church. Though he grew up in a family with Buddhist and Catholic beliefs, he became a baptized member of the Seventh-day Adventist Church in 1991. After becoming an Adventist, he served as the executive director of the Good Neighbor House, an ACS agency in Dayton, Ohio, for eight years. He was also the vice president and, later, president of the North American Association of Community Services Directors (NAACSD) during that time. He was recognized in the "40 Under 40 – Dayton's Brightest Young Business Leaders" by the Dayton Business Journal in 2000. He had the privilege of planting a Korean congregation as a company in Dayton, Ohio, serving as its interim pastor under the Kettering Seventh-day Adventist Church. In addition, he has served as the administrative pastor for Miracle Temple Seventh-day Adventist Church in the Allegheny East Conference. Dr. Kwon serves as a Chaplain (Captain) for Civil Air Patrol, US Air Force Auxiliary. He has served on the boards of the National Voluntary Organizations Active in Disasters (NVOAD), National Interfaith Coalition on Aging (NICA), and National Mass Care Council. He studied business administration at the University of Maryland, received a bachelor’s degree in theology from Washington Adventist University, earned a master’s degree in public administration from Wright State University, received a Milton Murray Fellowship for Harvard University Business School’s Executive Education program, and received a doctorate (Ph.D.) in leadership at Andrews University. Currently, he is enrolled in the Doctor of Ministry (DMin) in Urban Ministry program at Andrews University. As a licensed consultant for the Standards for Excellence Institute, he uses the “Standards for Excellence: An Ethics and Accountability Code for the Nonprofit Sector” to improve leadership, management, and operations of NAD Adventist Community Services. He also is a member of Pi Lambda Theta – National Honor Society of Educators, and the Society of Certified Senior Advisors, and has published Burst the Bubble: Finding Your Passion for Community Outreach. David B. Franklin was born in Northern California. He has attended church as long as he can remember but it was late in high school when he surrendered his life to Jesus. Surrendered to Jesus but not surrendered to His call, Pastor Franklin entered and completed Oakwood University with a B.A. in Business Administration with an emphasis in Marketing. Sensing God had something else in mind besides marketing for a Fortune 500, Pastor Franklin spent a year doing missionary work in Zambia, Africa and all over the US. It was during that year, that Pastor Franklin clearly heard and surrendered to God’s call to enter pastoral ministry. Later that year, He returned to his home church to become Youth Pastor. In 2006, Pastor Franklin entered the Theological Seminary at Andrews University to purse his Masters of Divinity. While at the seminary Pastor Franklin interned at Straford Memorial Church in Chicago, led FUSION (a multi-cultural campus ministry), and married the woman of his dreams the former Cynthia W. Ichoya. They are happily married and the proud parents of a new baby boy Malachi Paxton Franklin. After leaving the seminary Pastor Franklin was assigned to be the Associate Pastor of Berea Temple Church in Baltimore, MD. He served faithfully in that capacity for nearly 6 years. During which time he was selected to be the co-host of Let’s Pray! a live show on the Hope Channel which is committed to connecting people to Jesus through prayer. The ministry reaches thousands each week. As of January 1, 2015 Pastor Franklin is new Lead Pastor of Miracle City Church. He takes on this new role believing God is up to “something” and is excited about what the future holds. Tony Dahlberg first came to the Chattanooga area in the late ‘70s, when his father accepted a call to pastor the Chattanooga First Seventh-day Adventist Church. He attended school at the Southern Missionary College (now Southern Adventist University), where he met his wife. A few years later, Dahlberg graduated from the University of Tennessee at Chattanooga with a degree in business administration. He returned to Southern Adventist University to get a bachelors degree in long-term care and then accepted a position as a nursing home administrator in San Diego, California, which gave Dahlberg more experience and insight into financially fragile families. Three kids and a couple of moves later, Dahlberg and his wife returned to this area in 1998. He continued working in long-term care until 2006, when he became the executive director of the Samaritan Center. Over his 13 years at the helm of the Samaritan Center, the organization has nearly tripled the assistance it gives through its social services team. Total assistance in 2018 totaled just under $2 million dollars. The physical plant of the Center has grown significantly during Dahlberg’s tenure, with the addition of a 27,000 square foot warehouse in 2007 and a campus-wide remodel and expansion in 2014 that grew the Center by an additional 13,000 square feet to a total size of 70,000 square feet. Dahlberg lives in Collegedale with his wife Nina, a retired neonatal intensive care nurse. The couple has three adult married children. All work in the healthcare industry. Tony and Nina gained the new titles of Pop and Nana in April, when their first grandchild, Liam, was born. Colette Newer serves as the Director for Outreach Ministries at Washington Conference. In this capacity, she loves watching God call and empower church members to establish new and innovative ministries in their communities. She considers it a privilege to be part of that process by coaching ministry leaders to expand their capabilities and vision. Newer has a Bachelors in Sociology from Whitman College (1990), Masters in Administration from Andrews University (2015) and Certificate in Fundraising Management from Indiana University (2016). She would be a perpetual student if allowed to be and is always looking for a good workshop or class to attend. Newer and her husband, Brad Thurber celebrate 29 years of marriage this year. They have one grown son, Jacob. To recharge her batteries, Colette will go kayaking, work in her flower beds, or seek out an experience with art. Gaspar Francisco Colón was born in Mayagüez, Puerto Rico, and was raised in New York City. Currently, he is the Pastor for Nurture and Discipleship at Spencerville Adventist Church in Silver Spring, Maryland. He has served in a variety of ways and places during his long career, including: General Conference, ADRA International, as professor and Chair of the Department of Religion at Washington Adventist University (WAU), as Director of the Center for Metropolitan Ministry at WAU, as Director of Health Ministry at the conference and division level, as Co-director of Family Ministries in two world divisions. Educational background: B.A. in Theology and German from Atlantic Union College, Masters in Divinity from Andrews University, a Masters in Public Health from Loma Linda University, and a Ph.D. in Religious Education from New York University. May-Ellen Netten Colón was born in Hartford, Connecticut. She currently works for the General Conference Sabbath School & Personal Ministries (SSPM) Department, and for ADRA International. In SSPM she serves as a special liaison to ADRA International, and as Director of Adventist Community Services International. In ADRA, she is Director of Church & Community Engagement and a special liaison to the General Conference. May-Ellen has served as wife and mother (a lifetime vocation), a pastor’s wife, elementary and adult education teacher, music teacher, school principal, Co-director (with Gaspar) of Family Ministries for the Africa-Indian Ocean Division and Euro-Asia Divisions. Educational Background: B.S. in Elementary Education from Atlantic Union College, M.A. in Curriculum and Instruction, with emphasis in reading, from Andrews University, Ph.D. in Religious Education from Andrews University. Gaspar and May-Ellen have two adult children, who live and work in Hawaii, and two grandchildren. From 1988-1997 May-Ellen and her family were missionaries for the Seventh-day Adventist Church in Africa (5 years), living in Abidjan, Côte d’Ivoire, and then in the former Soviet Union (4 years), living in Moscow. Together they authored the Adult Sabbath School lessons for the third quarter of 2016, The Role of the Church in the Community, and the companion book for these lessons, entitled Adventist Churches That Make a Difference, published by Pacific Press. Recently, they authored the Teachers Edition for the Adult Bible Study Guide, “’The Least of These’: Ministering to Those in Need,” for third quarter of 2019. W. Derrick Lea serves as the Associate Director of North American Division Adventist Community Services. His responsibilities focus on the Disaster Response, Emotional & Spiritual Care, and Young Adults Emergency Services Corps Ministries. He retired as Deputy Chief over operations after 20.5 years of service for the Prince George’s Country Fire/ EMS Department in 2011. Using the background developed in Public Safety, he began consulting and creating Development Plans for organizations. This led to the largest Muslim organization in the United States, Islamic Relief USA asking him to lead their effort in forming a Disaster Response Team. After 3 years of successful work assisting those experiencing crisis, the organization asked that he lead all of their US Programs, which included Community Engagement, Grants, and Disaster Relief work. Additional service activities include serving on the Emotional/ Spiritual care Committee for the National Voluntary Organizations Active in Disaster (VOAD), working as a board member of the Community Blessings Center in Danville, VA along with working as past chair of the Maryland Emotional Spiritual care Committee. Derrick also holds certifications as an EMT B, Hazmat II and Executive Level credentials for County Government. Derrick has been married for 20 plus years, has two adult children, and his favorite Bible verse is Proverbs 3:6, in all thy ways acknowledge him and he shall direct thy paths. Angeline David has served as the Health Ministries Director for the North American Division of Seventh-day Adventists since 2016. She holds a Doctor of Public Health degree in Nutrition from Loma Linda University School of Public Health and a Master of Health Science in Epidemiology from the Johns Hopkins Bloomberg School of Public Health. She previously worked at the Seventh-day Adventist Guam Clinic as wellness director and dietitian, and at Johns Hopkins as a senior research assistant. Her passion is to make nutrition and healthy living practical, understandable, and enjoyable for everyone. She believes that comprehensive health work includes physical, mental, social, and spiritual wellbeing, and that all of us have a vital part to play in ministering hope and wholeness to our communities. She enjoys cooking, reading, doing various crafts, taking long walks, traveling, teaching, and playing with her nephews.